I will say that the best way to determine your homes value is from a qualified and professional real estate agent or an appraiser, but let's be real, everyone's looking to find their own answers before calling in the pros. So how can you determine what your home might be worth before listing or even thinking about listing and selling? Homeowners have access to more information than we've ever had in the history of information outlets. However, that doesn't mean that simply because we have the information, will know exactly what our homes are worth. Simply putting in the address to an online estimate tool and getting a detailed report is not the same as someone being there and actually understanding all the nuances of the house itself. The variation in the data is a good reminder that any estimate is just that, an estimate. Whether it's a BPO, which stands for broker price opinion, an actual appraisal, or just your homes value to know where to list and begin the selling process, it's still just an estimate. People will only pay for what they feel the home is worth. You can technically list your home at any price under the sun, whether a buyer will pay for it or not is another story. There are a lot of different opinions on value. You could sell the same house 100 different times with different buyers and sellers and it would probably close at a different price. So how can you estimate your home's value? There are several online tools to use. Many websites have basic forms where you can punch in your address and get a detailed report or just an idea. Heck, you can even look on Zillow to find out what your home may be estimated at. Zillow's "Zestimate" is based on similar sold properties around your neighborhood with the same square footage. But they honestly have no idea the condition. Your home might be similar to a home down the block but if it needs $50,000 in upgrades and repairs, it's not going to be valued at the same price. Only you know your house and unfortunately, homeowners can be pretty biased. 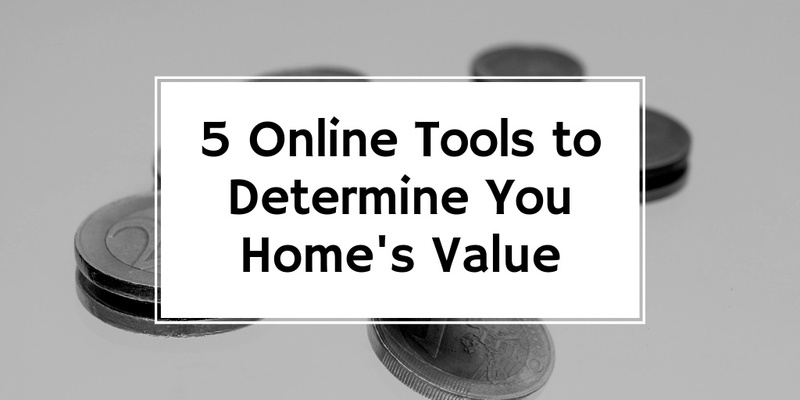 What you think is a value may not be to other buyers. Here are some online tools to get you started. US News has partnered with Home Light to provide a detailed home valuation that takes into account the amount of work needed on the property if necessary. Home values are presented in a range rather than a singular dollar amount. Redfin shows you photos and listing information for similar or comparable properties to arrive at a value of your home, but again, they're not looking at your home so they can only go off public details and information. This site uses data from public records, similar to Zillow and Redfin and only look at homes that have been recently sold nearby. The My Home tool allows tracking for several different conditions about the property including size, how many rooms, location, and lot size. And of course, Zillow. But as we mentioned before, even though they might be the pioneer of home value estimating, it will continue to refine how it comes to that number. For instance, if we took a similar renovated three bedroom, three bath home in a trendy historic urban neighborhood in a specific area of the US, your point to get several different appraisers. US news gave a range from $383,000-$502,000, Zillow gave an estimate of $302,000, redfin gave an estimate of $435,000, eappraisal gave an estimate of $274,000, and realtor.com gave an estimate of $246,000. That's quite a range! This is why nothing beats having a physical person that understands the market standing in your home or looking around the property as an appraiser would do. Brokers and real estate agents can make a more accurate estimate of the homes value whereas an appraiser will also give an opinion of what the home could be valued out for lenders. You're never going to nail down an exact number so looking at the range, the condition, age, size, upgrades, and every little detail that really can only be determined in person, only then can you come up with a decent home value. And then again, it's up to the buyer whether they feel the value is worth it as well.